﻿ Florida Snake Photograph 005 - An Eastern Garter Snake, common through much of the US. An Eastern Garter Snake, common through much of the US. DESCRIPTION: Garter snakes are common throughout the United States, and have varying color patterns, but most have checkered spots down the length of the body, and three lighter colored lines running down the length of the snake. Yes, Garter Snakes, often mislabeled as Garden Snakes, have a triangular head, but they are not venomous. Garter snakes are harmless, non-venomous snakes that prefer wet shaded areas. You will often see them in backyard gardens because the shade and moisture levels are perfect. The blue phase garter snake is unique in that it is a beautiful bluish green. Like most snakes it prefers to eat rodents, birds, and sometimes frogs and tadpoles. Their natural predators include large birds and raccoons and when caught they emit a foul odor as a defense mechanism. During mating season, blue phase garter snakes gather in dens and form mating balls. Their pheromones are very strong and sometimes males will release both male and female hormones to confuse other males, giving him a better chance to mate with a female. Garter snakes can cause some major problems in and around homes. One of the worst stories of infestation has been featured in the news and on the Animal Planet’s series “Infested”. A family in Idaho bought a home and soon started noticing a large number of snakes in their yard. 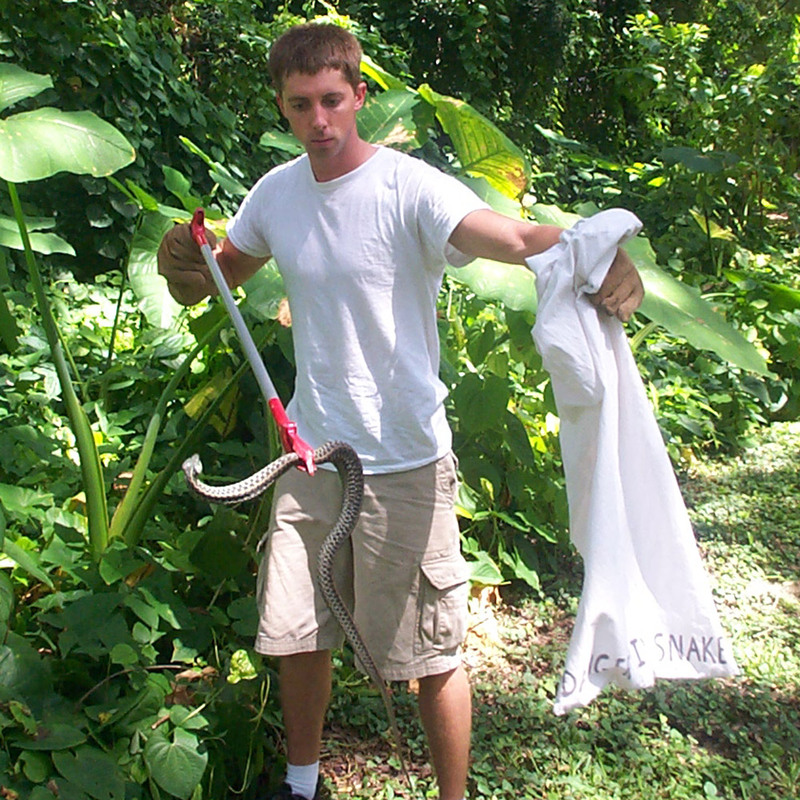 They started collecting the snakes, hoping to get rid of them but never could. The family would collect dozens in a day only to find more the next day. They began hearing slithering sounds in the walls, and noticed a horrible smell inside their home and even in the water supply. When they removed a couple of aluminum siding panels, dozens of snakes fell out. In the crawl space under the house, hundreds more were discovered. Eventually the family walked away from the house, filed for bankruptcy, and let the bank foreclose. After the family moved out, a realtor put the house on the market again. People have tried to have the five bedroom home torn down, but a few realtors have said it’s still sellable. Buyers beware when purchasing a house. Check out every rumor you hear. This family did not and regretted it.